The tag line at MIPTV 2016 was The Power Of Fans. And the high levels of deal-making at the market suggest that the biggest fans of international content are still network and platform buyers, who comprised 3,900 of the market’s 11,000 delegates. In the inaugural year of the MIPDrama Screenings, scripted content proved to be a major attraction. ITV Studios Global Entertainment sold its lavish period drama Victoria to broadcasters in the Nordic region, the Netherland and Canada while Italian public broadcaster Rai was in the process of signing off a deal for Close Murders with France-German network ARTE. Deals that underline the new paradigm in international drama distribution included US pay-TV channel Ovation’s acquisition of Zodiak Rights’ Versailles – an example of a TV network not known for scripted TV acquiring a French drama produced in English. Other breakthroughs this week included BBC Worldwide’s presale of Anglo-French drama The Collection (top photo) to SVT Sweden and DR Denmark and Wowow Japan’s sale of five scripted series to pan-Asian channel operator Fox Networks Group Asia (FNGA). Another hot drama series was Capital, based on John Lanchester’s best-seller. FremantleMedia International closed deals on the drama in the US, Canada, Australia and New Zealand. Comarex, meanwhile, was celebrating the sale of Chilean drama Young at 40 to 20 countries in Europe, Asia and South America. Elsewhere, Lionsgate licensed Feed The Beast to AMC’s UK pay-TV channel while Content Television sold Line Of Duty to DirecTV Latin America, BBC Worldwide Benelux and Hulu in the US, which picked up VOD rights. Digital deals for drama were common, with Netflix acquiring Marcella from Cineflix Rights, and Walter Presents acquiring two series from Keshet International (Baker & The Beauty, Milk & Honey) and Spanish drama Locked Up. Hulu also picked up Entertainment One (eOne)’s The Book Of Negroes while All3media International secured an exclusive deal for 80-episode Irish drama Red Rock, which will now air on Amazon Prime Video in the US (and also BBC Daytime in the UK). In scripted formats, a high-profile deal saw Dutch public broadcaster KRO-NCRV greenlight an adaptation of acclaimed Turkish drama The End. There was also good news for Onza Entertainment, which sold the format for Spanish drama The Department Of Time to China’s Guan Yue International. Russia’s NTV, meanwhile, has commissioned a local version of The Bridge. Looking more generally at formats, Endemol Shine Group reported strong interest in its hit format The Hunted, which sold to Shenzhen Satellite Television in China and NTV Russia. Other strong performers for ESG were The Brain, which sold to six territories this week, and The Island, which has sold to three. Elsewhere in the format business, Discovery Group Italy licensed game show format Boom from Keshet International for Nove. China’s importance as a buying market was reinforced by the news that Shenzhen TV also picked up the Dragon’s Den format from broker IPCN. Talpa Media’s Dance Dance Dance also secured a deal in China, as well as being picked up by RTL Germany. It was a similar story with TV Asahi’s Beat The Champions, which was snapped up by Zhejiang Satellite Television. There was more good news for TV Asahi, which licensed Ninja Hattori to Viacom 18. Coming off the back of an excellent MIPDoc, factual content was also flying off the shelves in Cannes. PBS International US election special The Choice 2016 sold to NRK Norway while a Chernobyl documentary generated intense interest among buyers. PBS rounded off the market by signing a deal with UK producer Lion TV to make three blue-chip documentaries based in China. Other deals included the sale of two Picasso documentaries to Ovation by French distributor Terranoa; Essentially Media/Zed coproduction The Living Universe to Curiosity Stream and ARTE; Sarah Graham’s Food Safari to Cooking Channel US and AMC Networks International by DCD Rights; and Lion TV’s Meet The Roman Empire to networks including Knowledge in Canada. Demand for kids shows was as vibrant as ever with Cyber Group Studio’s signing an eye-catching deal with WeKids in China for 130 half hours. Mattel was also in fine fettle, selling Thomas & Friends: The Great Race and Bob The Builder to a slew of markets including the US, Germany, Australia, Portugal, Russia and Turkey. Studio 100 was celebrating the sale of 50 hours of content to Lithuanian public broadcaster LRT while Rainbow sold hit property Winx Club to Sun TV in India. In other deals, ITVSGE sold the new series of Thunderbirds Are Go to DHX Media in Canada while Anima Kichent and Famosa sold animation PINY to Mexico and Russia. As with drama, kids is a priority for VOD. Televisa’s new platform Blim, for example, acquired 200 hours from Cake. The growth of pay-TV and VOD has created conditions for large volume deals. Electus International sold 70 hours of content to Modern Times Group for its Baltics business. FremantleMedia International, meanwhile, announced a multitude of new deals with SVOD platforms across Asia. With the total number of hours of content sold reaching over 1000, titles from FMI’s extensive catalogue will be available on iflix, DOONEE and iQiyi Taiwan. Another high-profile announcement along these lines was that South Korean OTT mobile service Pooq has picked up hundreds of hours of multi-genre content from the UK’s BBC Worldwide. MIPTV also saw a number of key corporate deals unveiled. Critical Content announced a partnership with Machinima while Vice revealed that its Viceland channel is to be carried on Canalsat in France. Fast-growing producer/distributor StudioCanal was also in the news, acquiring stakes in Spanish production powerhouse Bambu, Urban Myth Films and SunnyMarch TV. 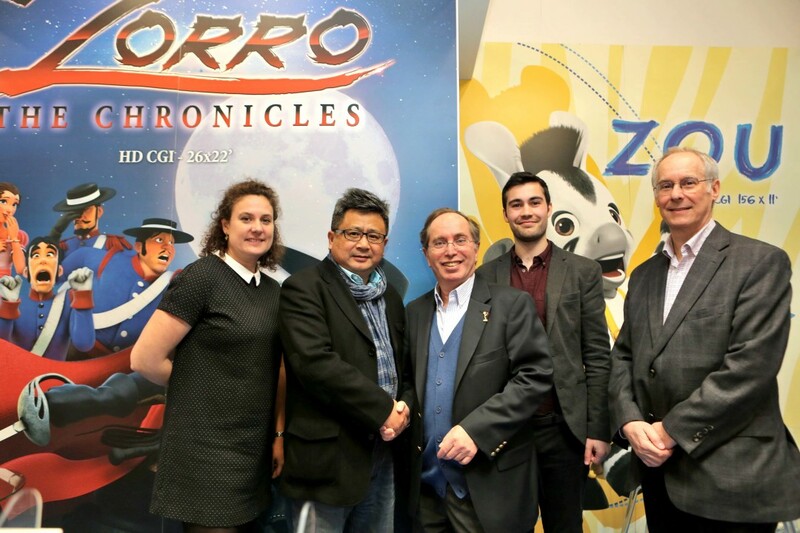 Not to be outdone, Red Arrow Entertainment Group invested in Mad Rabbit, a new production joint venture with Canadian director and showrunner Kari Skogland – based in Toronto and LA. Another key dynamic at the market is the acquisition of rights by distributors with a view to selling them on to broadcasters. 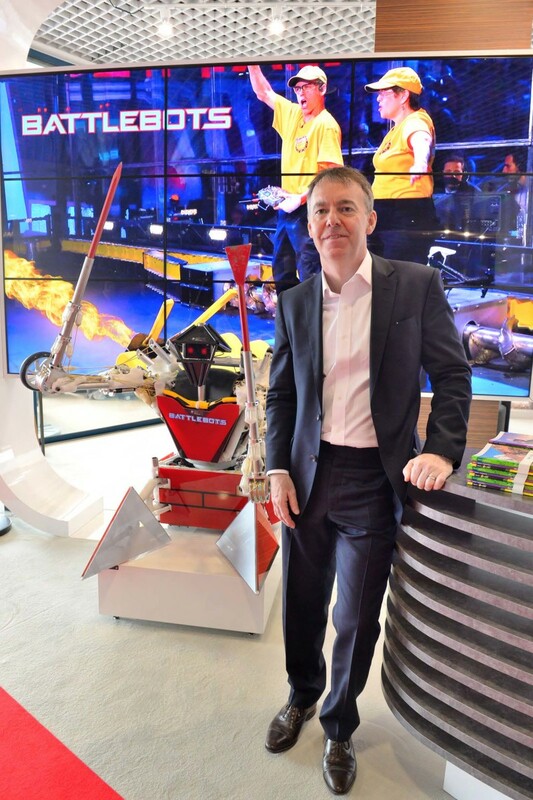 Federation Entertainment, for example, acquired worldwide distribution rights to Belgian crime thriller drama The Break while Sky Vision picked up global programme and format rights to BattleBots which launched on ABC in the US in 2015. There was a lot of buzz around co-production. Munich-based Autentic and Japan’s NHK are working on Inside The Tsunami while Millimages joined forces with Chinese animator Benlai Pictures on Kung Fu Brothers. Xilam Animation and Lagardere Active reached agreement on Oggy And The Cockroaches.